To those sitting in the pews, preaching can look relatively effortless—especially when it’s done well. But don’t be fooled. Preaching exhausts the body and soul in ways incommensurate with its duration. I could work in the yard all day in 90-degree heat and (somehow) feel less exhausted than preaching two services. But it’s not just the physical and spiritual toll that preaching takes. The complexity of the task is what makes it difficult. Just standing up and talking for 30 minutes (and making any sense at all) is tough enough for most folks. But on top of this challenge preachers have to navigate a complicated passage, balance sensitive doctrines, weave together a coherent message, apply the message to people’s lives, and do it all in a manner that’s compelling, engaging, winsome, and never boring or dull. No wonder James said, “Not many of you should become teachers” (James 3:1). 1. Confusing ‘expository’ preaching with running commentary. Somewhere along the way, some pastors have became convinced that the “expository” part of preaching means a sermon must sound like a commentary. They see it as a strictly chronological, running list of observations about the text. Unfortunately, such a move confuses two different genres. 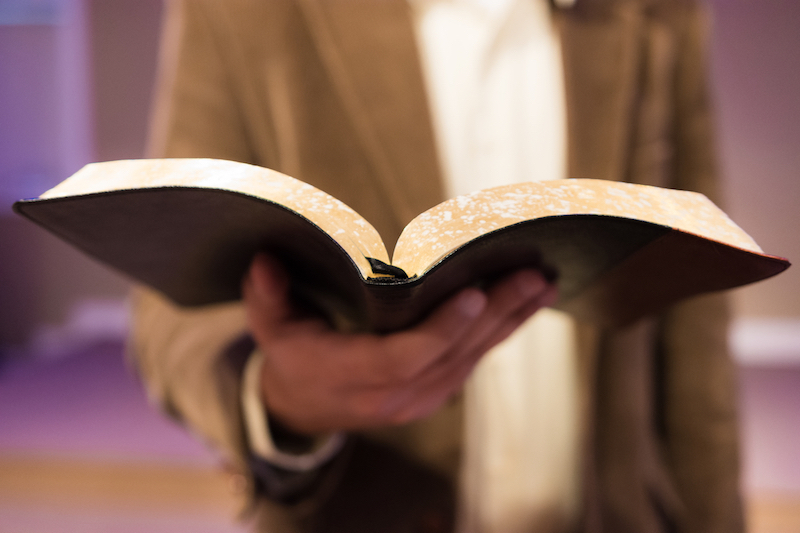 While preaching should unpack the text, it differs from a commentary in meaningful ways. Primarily, sermons have an exhortational component that commentaries often lack—sermons speak not just to the mind but also to the heart. They’re concerned not merely with truth, but also with pressing truth into lives. 2. Assuming more illustrations is always better. Illustrations are a critical part of an effective sermon. We often remember the illustrations more than the sermon itself. But that doesn’t mean (as some often assume) the more illustrations the better. Sometimes, less is more. Charles Spurgeon, the master illustrator, said a sermon without illustrations is like a house without windows. But, he adds, you don’t want a house that is only windows! 3. Thinking that preaching Christ means preaching justification. No doubt, justification by faith alone is one of the most precious doctrines we believe. It was at the center of the Reformation, and it is central to our understanding of salvation. But—and this is a key point—preaching justification is not the only way to preach Christ. It is one way to preach Christ; it highlights his salvific sacrifice. It highlights his priestly office. But Christ is also the ultimate prophet and king. Preach these offices and you are still preaching Christ. If one fails to grasp this point, then every sermon gets bent back around to justification, no matter what the text says, so every sermon ends up sounding the same. 4. Refusing to cut good stuff from your sermon. A major pitfall for new preachers is the lack of “scraps on the cutting room floor.” They are so excited about every point, they decide to leave them all in. Unfortunately, this approach creates a bloated, clunky—and overly long—sermon. It’s the equivalent of a movie director keeping every scene he shoots. If he did this, the film would be 12 hours long. He has to cut even good scenes to make room for the essential ones. So it should be with preachers. When sermon prep is over, there should be a (big) pile of good material you’ve left behind. It’s then a sermon moves from good to great. 5. Assuming that using original languages means parsing verbs in your sermon. Every seminary student wants to demonstrate how seriously he takes the languages—even in a sermon. That’s a good thing. But I’ve sat through one too many cringeworthy moments where a student preacher pauses to parse Greek or Hebrew verbs in the sermon. Aside from whether the congregation needs to understand the nature of third hey Hebrew verbs, this confuses using the original languages in sermon preparation (which is a must) with using original languages in sermon delivery (which is not). The latter might be helpful on rare occasions. But the main issue is whether the preacher has done the hard work in the study, regardless of whether the congregation ever realizes it. Think of a chef who prepares a great meal. The patron doesn’t need to know which master culinary techniques the chef performed in the kitchen in order for him to enjoy and benefit from the final product in the dining room. 6. Making application before you’ve developed a point to apply. Since preachers are eager to apply, sometimes it’s easy to jump the gun. They will hurry over exegetical details and move to discussions about practical implications. There is a real danger here. Hurrying to application too fast leaves you with no real point to apply. Sermons like this end up becoming almost all application, merely one “practical” application after another with no real, deeper understanding of the text. This pitfall is really the opposite of the first. While some never get to application, others barely develop their textual point at all. 7. Thinking that preaching from a manuscript makes you a better communicator. When you’re nervous about preaching, there is nothing more reassuring than a full word-for-word manuscript to bring comfort and security. However, I’m not convinced it helps more than hurts. Yes, it allows you to express your point exactly as you wish, with carefully chosen words. But does that actually improve communication? Only if the congregation is engaged and listening. This is precisely the typical problem with preaching from a full manuscript. It tends to create “bubble preaching,” where the sermon is delivered in a bubble of sorts, cut off from the congregation as the preacher works word-for-word through his manuscript. In the end, addressing these seven pitfalls won’t automatically make preaching easy. It is still hard. Very hard. But hopefully addressing them can make it just a little bit easier.